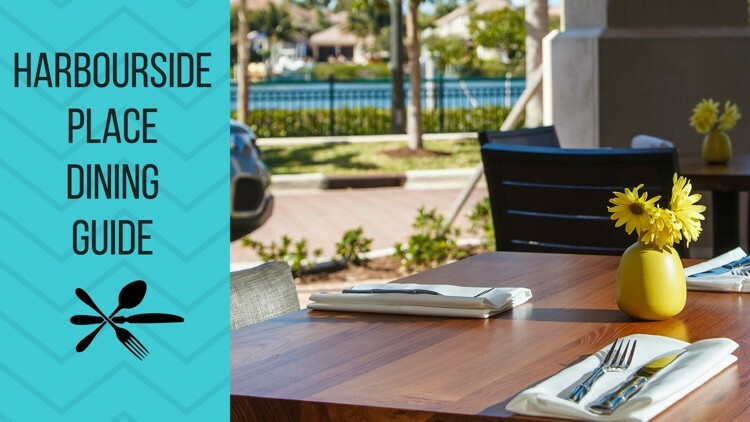 Harbourside Place in Jupiter has many fun dining options. Restaurants at Harbourside Place range from the quick and casual to the funky and bizaare. Here’s our Food Editor Liz Balmaseda’s guide to the plaza’s eateries, the hits and the misses. Part steakhouse, part sports bar, Tiger Woods’ restaurant at Harbourside Place is a game-changer at the waterfront dining and shopping complex. Service sets a new standard, not just for the plaza but for the area. Servers rock Nike-brand garb as they hand you hot towels after finger-food courses. The food is equally stellar. 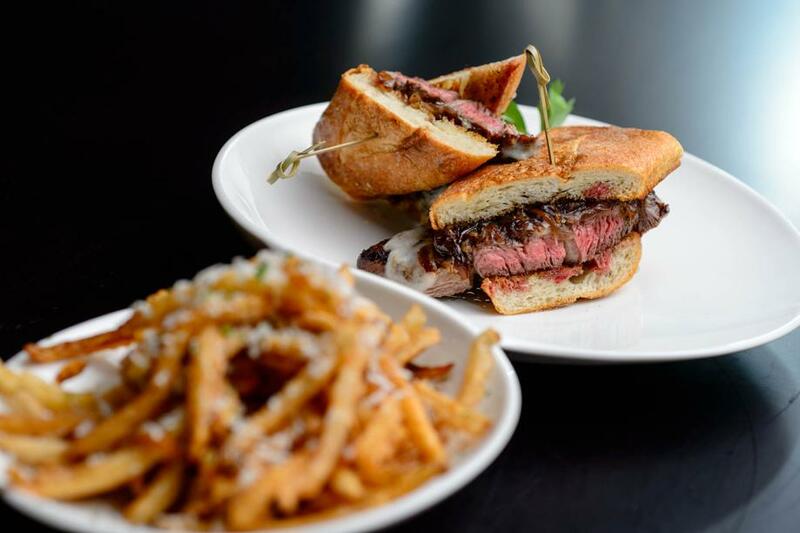 The rib-eye sandwich is outstanding, a tender, flavorful steak topped with a swoon of Drunken Goat cheese. Also delicious: the bone-in pork chop and prime burger. The burger patty is flavored with bacon and onions. Need we say more? The Woods: 129 Soundings Ave., at Harbourside Place, Jupiter; 561-320-9627. This waterfront spot serves island-inspired resort food that’s expertly done. The Tommy Bahama brand, barefoot-island sophisticated, is followed through here with style and substance. Try the macadamia nut-encrusted snapper. 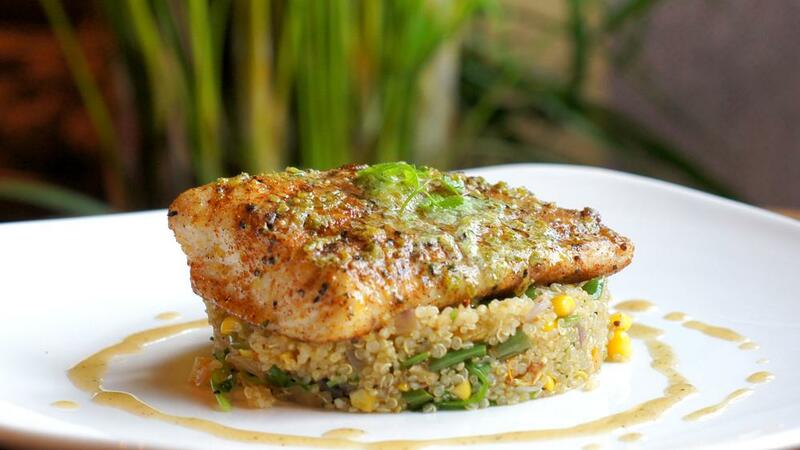 Seasoned with Hawaiian red sea salt, it’s served with nicely grilled asparagus and almond rice. Fans of creamy soups will love the rich, sherry-laced crab bisque, which is dotted with lump blue crab and crowned with crushed croutons. If you’re lucky enough to snag a table with a view, you’ll enjoy one of the best vistas at Harbourside Place. Tommy Bahama: 126 Soundings Ave., Suite L2-130 at Harbourside Place, Jupiter; 561-406-6631. 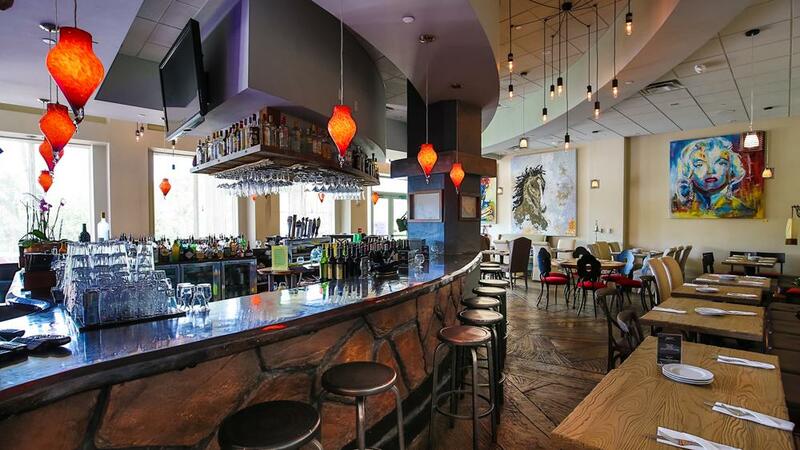 This eclectic, Asian-inspired restaurant and bar may have lost some of its mismatched charm when it moved less than 1 mile east into Harbourside Place, but the food is still delicious, albeit pricey. For a light but flavorful bite, try the Tuna U-Ki, chopped raw, sushi-grade tuna with kimchee sauce and crispy plantains. Or share a sushi roll and sip on a cocktail while you enjoy the more serene side of Harbourside, as this eatery anchors the quiet, southernmost corner of the complex’s waterfront strip. Too Bizarre: 107 Dockside Circle, Jupiter; 561-203-2510. Beneath vibrantly colored Mexican lanterns, hipster servers mash guacamole tableside, crispy empanadas are filled with delicious duck confit, and dessert means hot, fresh churros served with cajeta (caramel) dipping sauce. The guac proved a bit bland on a recent visit, but those empanadas and churros are must-haves at this waterfront cantina, which offers terrific happy hour deals and an extensive range of cocktails. 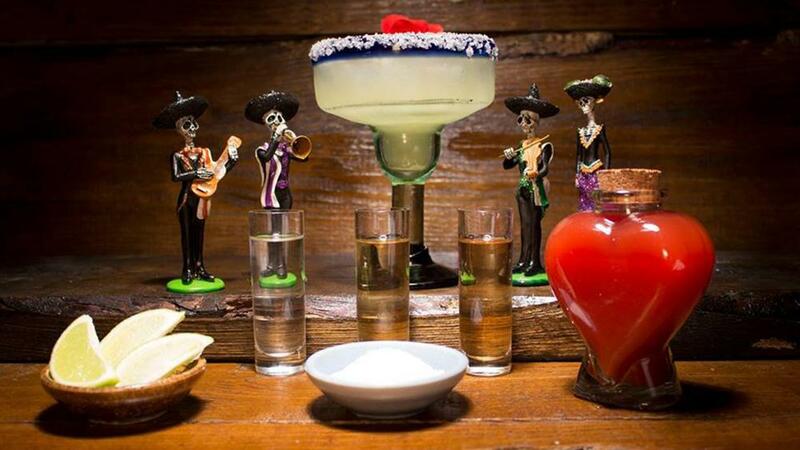 Calaveras Cantina: 125 Dockside Circle, Jupiter; 561- 320-9661. 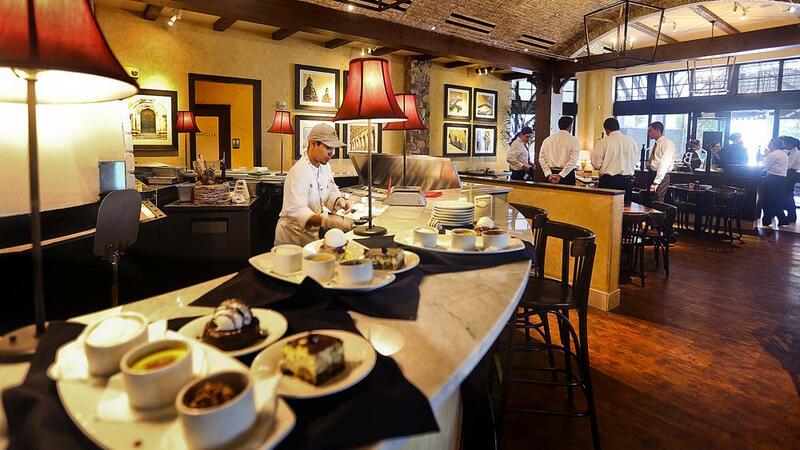 Not nearly as good as its restaurant chain sister, Brio Tuscan Grille, this popular eatery is perched on prime space at Harbourside, overlooking the waterfront amphitheater. Still, it’s a decent stop for a glass of wine and shared pizza, delivered by attentive servers. Bravo Cucina Italiana: 149 Soundings Ave. Jupiter; 561-747-4445. This burger joint does not disappoint. The county’s northernmost location of this north county-based burger chain serves killer burgers and delicious frozen custard and sweet, chilly “concretes. 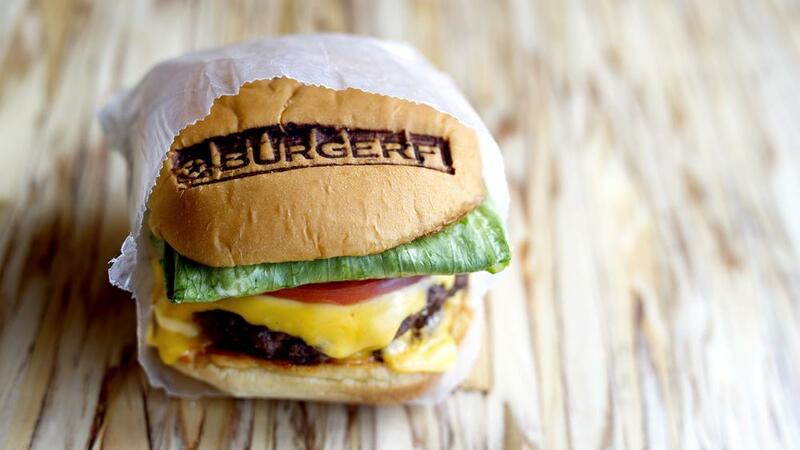 BurgerFi: 147 Soundings Ave. Jupiter; 561-203-7438. This breakfast and lunch cafe is open only to 2 p.m. each day, but it does a brisk business in brunch-y favorites. My favorite part of a meal here: The cute, kitschy pottery coffee mug keeps your coffee warm throughout brunch. Also, service is remarkably good. 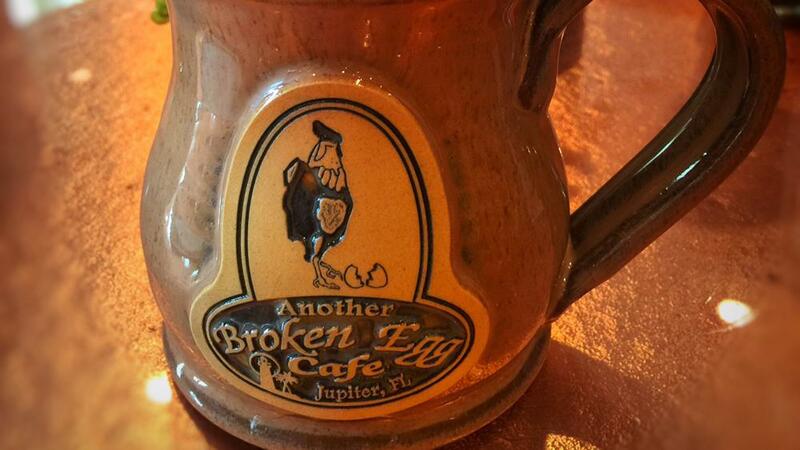 Another Broken Egg: 117 N. Coastal Way, Jupiter; 561-406-6556. 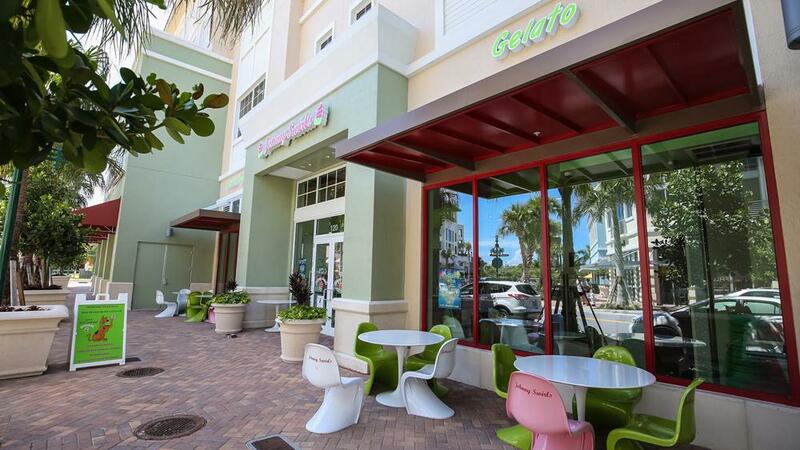 A range of frozen yogurts, premium toppings and fresh fruit is served here with certain flair. Johnny Swirls: 120 N. Coastal Way, Jupiter; 561-277-9976.